This book is about taking a journey into the self. It is about walking a path unrestricted by the world's opinions about right and wrong. A knowing that whatever happens in your life is happening for a reason and rarely by chance. You have within yourself all you need to be happy and content. The goal in this life is to find the inner truth we are all born with. 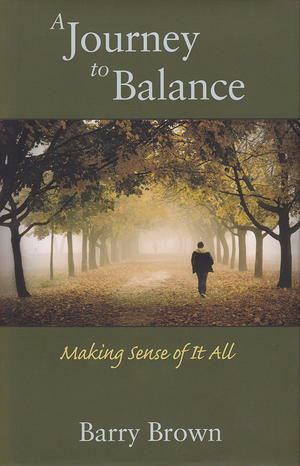 There is a balance in nature if we only look...if you want to live in harmony with nature, then it is up to you to find your own unique equilibrium. The way is through your feelings, your emotions, and your intuitions. Once you begin to take time to ask, "Why do I feel this way?" You have taken the first step on nature's path.